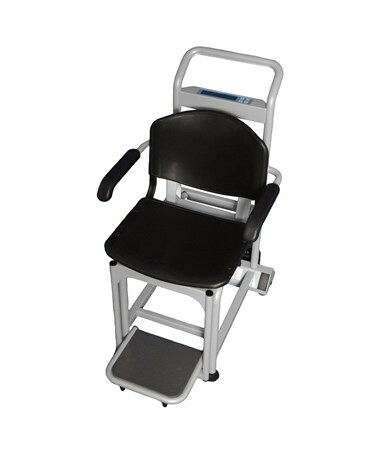 The 2595KL Health-o-meter Professional Digital Chair Scale is a hospital grade chair scale that combines comfort with accuracy and durability. With a capacity of up to 600lb, and a sturdy steel structure, this scale is sure to fulfill all your specialized and standard weighing needs. Made for those who have difficulty standing but are not wheelchair bound, relaxation comes easy with the large seat and flip up arm/foot rests. The Motion Sensing Weighing Technology ensures that your patients' movements will not interfere with the weighing process. This scale features a large 1 1/8" LCD display that has a variety of functions, including LB / KG Conversion, LB / KG Lock Out, Zero Out / Tare, Auto Off, and a Low Battery Indicator. The features are easy to operate and guarantee a straightforward operation. 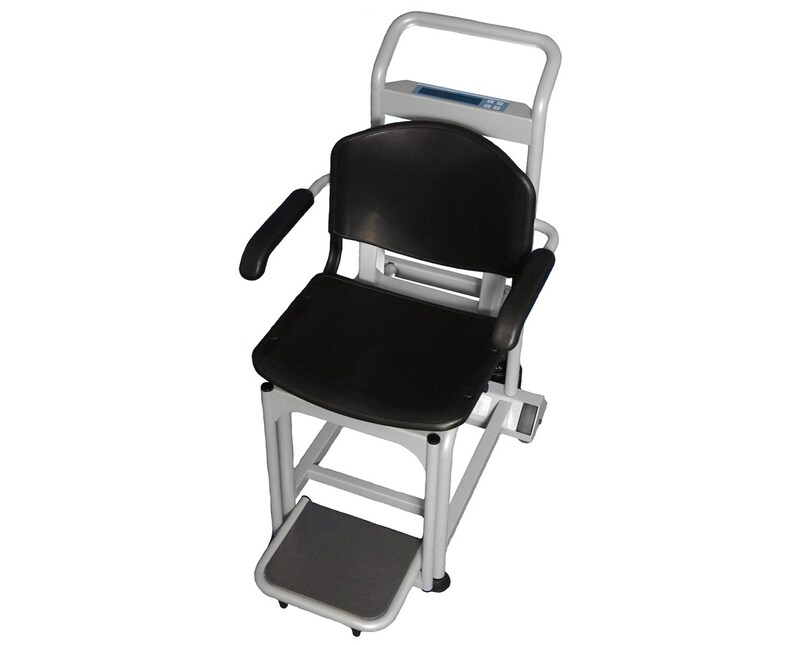 Heavy duty wheels are installed in the 2595KL Chair Scale, allowing easy transportation. The EMR connects via USB, and a 120V adapter is included for your convenience. You can also choose to power this scale with 6 AA batteries (not included). Health-o-meter offers a 3 year warranty against any defects, damage, and repair. This is the ideal scale for any health care clinic or hospital, as well as weight loss and dialysis centers. Overall Measurements 35" x 23.62" x 40.5"